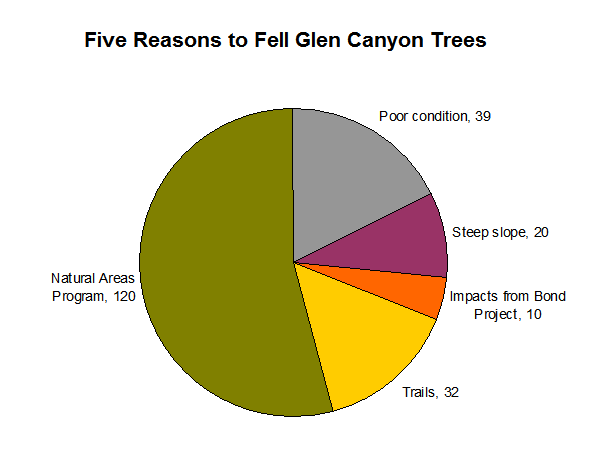 How Many Trees will Glen Canyon Lose? Glen Canyon is just about to undergo a major change, as the projects funded by the 2008 Parks Bond get underway. They plan to make a new entrance area, move the tennis courts, move the playground and change the equipment, and add a restroom. The total project has a budget of $5.8 million, and the work is expected to take ten months. On June 28, 2012, Dennis Kern, Director of Rec & Park Operations, gave a presentation to the Glen Park Association, where he said that a total of 101 trees would be removed in Glen Park. Some were considered hazardous and others were in the way of the capital project. He made no mention of 120 trees that have been identified for removal by the management plan for the Natural Areas Program (SNRAMP). These trees are not hazardous, but will be removed in order to expand native plant gardens. He also said that all the trees removed would be replaced one-for-one, and 94 additional trees planted. However, as we’ve seen before, the “one-for-one” does not mean replacing the trees at the same location, or with the same species: “Trees” by the SF RPD definition includes shrubs. By this reckoning, Glen Canyon stands to lose some 220 majestic trees in the next year or two. We recently obtained the plans (by making a public records request) for tree removals in Glen Canyon Park recommended by Hort Science, SF Rec and Park Department’s hired consultant. (The 30-page report is available here as a PDF document: [Glen Canyon Hort Science Report for SF RPD.]) The report recommended 247 removals – including two-thirds of the trees near the Recreation Center and playing fields. They looked at 250 trees around the Recreation Center, and recommended removing 190 of them. In addition, they looked at 327 trees elsewhere in the park, and recommended removing another 57 – including 20 which were to be removed because they grow on a steep slope. The report provided a hazard assessment only for 48 trees, of which 37 were recommended for removal. According to the spreadsheet in the report, only 12 of the trees were impacted by the project – a number that approximates what the neighbors understood. The majority of the trees were defined as having “Poor Suitability” – a broad grab-bag of reasons, including being old, (because though old trees have a greater emotional and aesthetic appeal, they don’t adjust as easily as young trees); and being of the wrong species. As best as we can figure from the bid documents, these “poor suitability” trees are not being removed, but are at risk from the changed environment of the capital project. [Edited to Add: This may not be right. It looks like a number of trees are being removed for “poor suitability.” See our later post for a map of the trees being removed.] We can only hope that they are carefully protected through the 10 months of demolition and construction activity that’s coming to Glen Canyon. Otherwise, many of them will be Collateral Damage. This tally doesn’t count the trees already gone. The Natural Areas Program has already destroyed trees in its efforts to re-landscape the canyon. 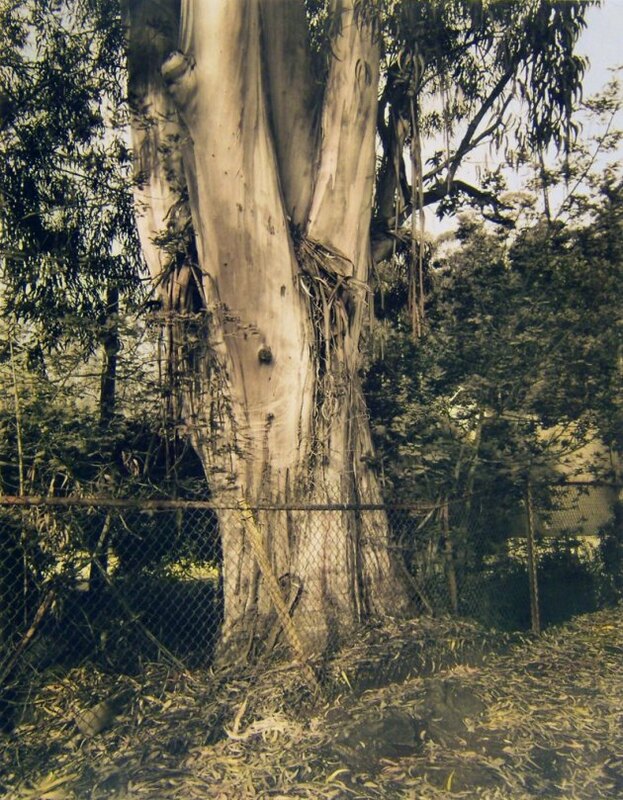 About two dozen are documented, but according to a resident of the area, some 100 eucalyptus trees may have been removed before they started counting. The project has been put out to bid, and a $3.7 million contract is about to be awarded, subject to confirmation from the SF Recreation and Parks Commission. That hearing is scheduled for the Commission’s meeting on 16th August 2012, at 10 a.m., in Room 416, at 10 a.m.
4 Responses to How Many Trees will Glen Canyon Lose? Destruction of this kind is the side effect of having too much money and power. In my neighborhood SF Ports, also a beneficiary of the 2008 park bond, has bond money to burn. 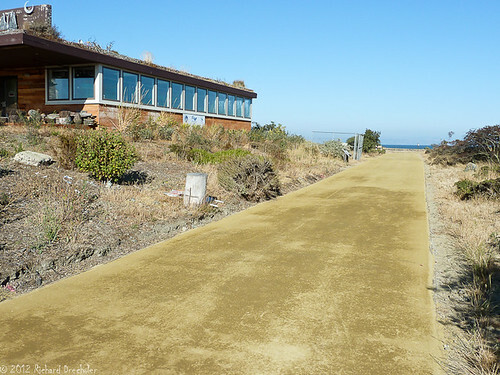 “The Port” turned a half mile long, soft foot path into a hard 12′ wide road, displacing an additional 8000 sq. ft of park with this rock hard “granitecrete” surface. This road was not in any published plan; the community was not advised and comment not requested. As work began on this road, that closed the park for three months, park visitors (who asked) were assured that the previous path would be replaced with the same soft foot path. of the 2012 park bond this November. The purpose of this money in unclear. This absolutely must be stopped. You guys do great work. Let us help support you. Webmaster: Thanks for alerting us to this issue. The PayPal button to donate is located on the home page. That means that if you’re a subscriber looking at a new article, you first have to go to the home page to find the donate button. However, the PayPal button wasn’t working until you alerted us to a problem donating. We have fixed the button. Thanks again for telling us about this issue and for trying to donate. Hope you try again.